Future Tense newsletter for Feb. 3, 2016. January has come to an end, and with it our first Futurography course. By way of conclusion, we published a second excerpt from Oliver Morton’s The Planet Remade in which Morton imagines how geoengineering projects might begin with a small group of rogue nations trying to make a difference. Hypothetical as such endeavors remain, they seem a little more urgent when you consider that climate change may contribute to the spread of Zika mosquitoes in the decades ahead. Fortunately, we’re not quite there yet, just as we’re not on the brink of some “Fourth Industrial Revolution,” despite the overeager claims of some at the World Economic Form. 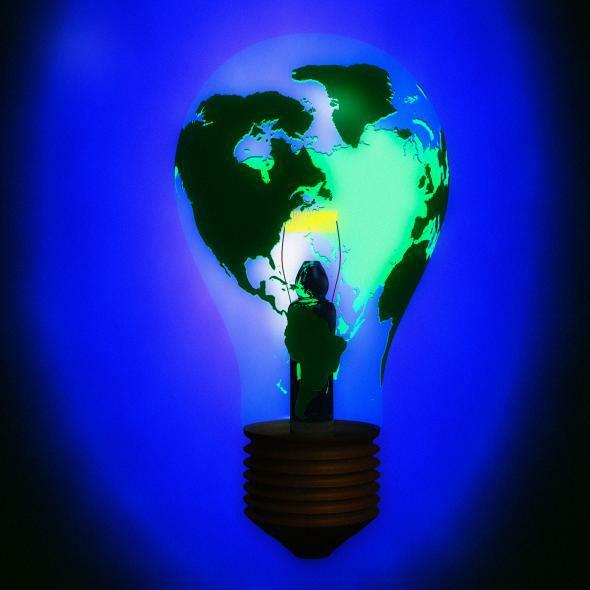 Real change may be incremental, as when General Electric announced this week that it would stop producing compact fluorescent light bulbs in favor of more energy-efficient LED options. Still, there’s something to be said for imagining extreme scenarios, like the one in Occupied, a Norwegian political thriller that features Russia invading after Norway cuts off oil and gas production. Even with our geoengineering course behind us, we’ll continue to report on and discuss such issues. For now, Futurography has moved on to its next topic: the question of whether we’ve given algorithms too much power. As we did last month, we’re starting off with a conversational introduction to the topic and a cheat sheet that will introduce you to key terms, players, debates, and other essential information. We’ll have much more in the days and weeks ahead. And we’re curious to hear what you learned from our previous unit. Consider testing your knowledge with our quiz and letting us know what you think about geoengineering. We’ll be reporting on the results soon. Virtual reality: Companies are getting serious about VR, partly because consumers are finally getting on board—as is the open source community. Assistive technology: At Carnegie Mellon University, Bluetooth-emitting beacons are changing how the blind move through—and interact with—the world around them. Flat-earthers: Lawrence Krauss argues that the resurgence of ludicrous theories about our planet presents an opportunity to engage in some basic scientific observations. Oregon Trail: A co-creator of one of the best-selling video games of all time showed up on Reddit to dish about its origins. We have the details. Why do some regions become hubs for artistic, business, and technological innovation? Join Future Tense at Civic Hall in New York on Thursday, Feb. 11, for a conversation with Eric Weiner about his book The Geography of Genius: A Search for the World’s Most Creative Places, From Ancient Athens to Silicon Valley. For more information and to RSVP, visit the New America website.